secondary school teachers and future professionals in the broad field of education. PHFR’s research covers the full span of educational, pedagogic and subject-didactic fields. The University places special emphasis on research that is relevant to improving HE teaching and has earned a particular reputation for its research on, and dissemination of, innovative practices and pedagogies in maths and science education. Several large-scale international and interdisciplinary research, development and dissemination projects have been carried out over the past decade at the maths and science education departments of the PHFR. As a result of this work, the University can currently resort to an international network of stakeholders in maths and science education of over 1000 contacts relevant to the project’s scope. Linking research and teaching, practice-orientation and policy-connections are thus among the PHFR’s distinguishing strengths – in particular in the field of maths and science education. In 2017 Prof. Katja Maass and her team established the International Centre for STEM Education (ICSE) at PHFR. The ultimate aim of ICSE is to help improve STEM education across Europe, that is, to give students insights into authentic features of STEM subjects and their connection to real-life contexts, to raise achievement levels in STEM and to make science literacy accessible to all students no matter what their gender, their cultural background or their socioeconomic background, and to promote the interest of young people in STEM careers. The ICSE team at PHFR is coordinating the InlcuSMe project. The key persons involved in this project combine a multi-disciplinary background and expertise in (1) coordination and management of international projects, (2) mathematics and science education in initial teacher education (ITE), (3) intercultural education, and (4) student mobility. Furthermore, the team has broad expereince in coordinating several large-scale European projects focusing on research, materials development and the broad dissemination of innovative teaching and learning approaches in maths and science education. The team’s expertise comprises the management of large-scale projects, including all administrative, legal and financial aspects. Also, the team has extensive experience in organising influential policy events, building successful international dissemination strategies, managing quality in international projects, as well as embedding project-funded activities into broader relevant contexts to ensure long-term impact and sustainability. Dita Betere, the project manager of IncluSMe, holds a M.A in the Educational Science, Field of Study: Adult and Continuing Education. Along the Master Studies she gained a University Certificate for expertise in empirical research methods. Shortly before studies in Freiburg, Germany she was the National Coordinator of „The Duke of Edinburgh`s Award“ in the National Centre for Education and was responsible for finances, marketing, training the trainers and leaders of the programme, national and international events and projects. Katja, the coordinator of IncluSMe, is a researcher, educator and leader of international projects in mathematics and science education. She holds a master’s degree in mathematics and biology, acquired her PhD in mathematics education in 2004 and was awarded professorship in the same year. Her main professional interests are real life applications of mathematics, inquiry-based and interdisciplinary STEM teaching. Her research has been published widely in the most prestigious journals in the field. Next to teaching and research, her work is characterised by a strong practical and melioristic concern towards advancing science teaching. Katja has successfully coordinated numerous large-scale European projects to foster innovation in STEM education, including award-winning projects like PRIMAS, mascil or COMPASS. Her work is distinguished by both a local and international orientation and she relies on excellent networks to research, policy and practice. As the founding director of ICSE she aims to take European collaboration in STEM education to a next level so as to maximise quality, equality and innovation in day-to-day STEM teaching. Elena, the project manager of IncluSMe, holds a Bachelor’s degree in Educational Planning and Instructional Design and a Master’s in Educational studies with the focus on adult education and professional development. Her professional experience includes working in adult education, developing educational materials for (initial) teacher training programs as well as evaluating PD courses and materials. Elena worked in ICSE´s large-scale projects PRIMAS and mascil for example in the assistant management, she has been the main organiser of international conferences (such as Educating the Educators I and II) and she has broad experience in implementing marketing concepts and dissemination plans to promote EU projects' aims and activities. 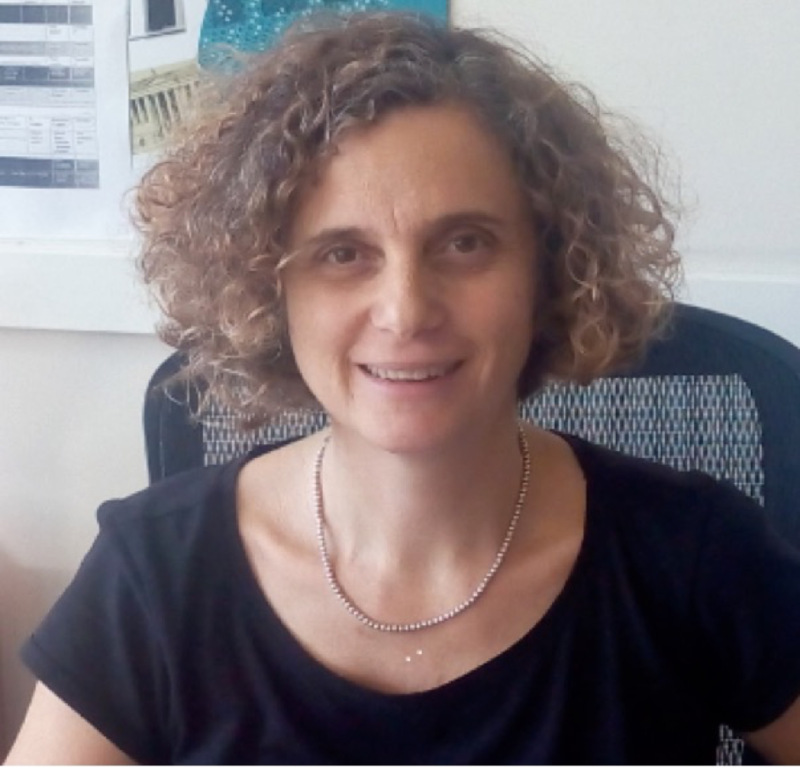 Elena is the responsible project manager for two of ICSE’s current Erasmus+ projects – IncluSMe and STEM PD Net – and she is co-responsible for the European STEM Professional Development Centre Network. Jönköping University (JU) is a private, non-profit institution of higher education with the right to award degrees at the bachelor, master and doctoral levels. The activities of the University are characterised by internationalisation, multiculturalism, an entrepreneurial spirit and collaboration with the business community and society in general. The University is organised as a non-profit corporation with Jönköping University Foundation as the parent organisation and five wholly-owned subsidiaries. Jönköping University has a consistently high international profile and is one of the top universities in Sweden in terms of international student exchange. The University is the best regarding internationalisation in the field of the humanities-social sciences. Education in the fields of economics, business administration and social work top the list (Urank). Municipalities around JU, where prospective teachers do their school located studies, has a very high number of immigrant pupils, which means that there is an explicit need for both a knowledge production and development of routines for dealing with incoming pupils. Together this means that both the university and surrounding schools have long experience in inter-cultural exchanges and immigrant pupils and students. The project team of the School of Education and Communication, SEC at JU is composed by a group of experienced researchers, academic leaders and teacher educators with strong expertise in all areas of teacher education, educational research and in project leadership. The team consists of researchers, with long experience in teacher´s mathematics and science education. The team leader has long experience in assessment, both as a researcher and as a national test constructor, and has been involved in the production of the Swedish National Mathematics Tests and in writing the National curricula in mathematics for schools for several years. The team has a strong background in developing and giving courses for prospective teachers, which is a vital component in designing output O7 that focuses on the deficiencies and excellence of immigrant pupils. The team has very good support in terms of a well-developed infrastructure for international student exchange. The teacher education at Jönköping University has a long tradition of international cooperation regarding school located studies (SLS). Every year teacher students in different programs take the opportunity to do a period of SLS abroad. We have over the years placed students in all parts of the world, English speaking countries as well as others. These experiences will serve as a strong background for the lead of the intellectual output O13, accompanying prospective teachers in making intercultural experiences, in particular in their field work or in stays abroad. SEC also has an internationally highly regarded research environment for the studies of gifted pupils and a strong group in studying low-performing pupils. Another strong research area is Learning Studies that focus on successful teaching. 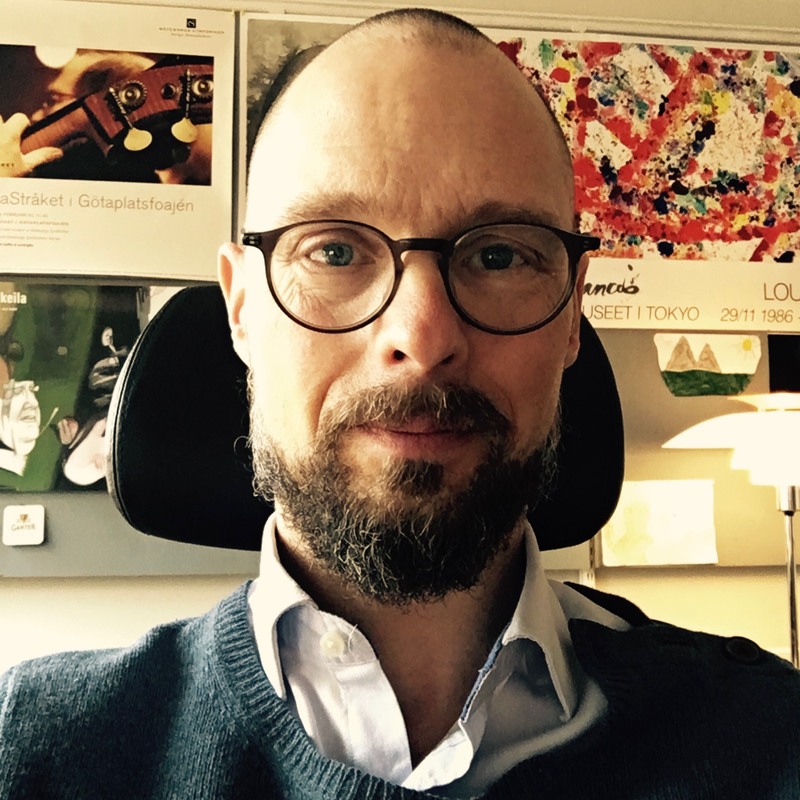 Associate Professor Jesper Boesen is a math ed researcher and holds a position as Head of department at the School of Education and Communication, Jönköping University, Sweden. He has lead one of Scandinavia’s largest research schools in the educational sciences, he also has a background as a national test developer at the two milieus responsible for national test construction in Sweden. He was one of the members in the international board on behalf of the Deutsche Telekom Stiftung initiating the Deutsche Zentrum für Lehrerbildung Mathematik (DZLM) and has been a board member of the Norwegian National Mathematics Center. His research interest mainly concerns effects of National test on teacher practice with a particular focus on creative mathematical reasoning, interest also include teacher education and CPD in large scale. The Norwegian University of Science and Technology (NTNU) is situated in Trondheim and is the largest university of Norway with about 36000 students. The Department of Teacher Education at NTNU has Norway’s largest academic environment within teacher education and educational research. It offers practice-oriented and profession-oriented Bachelor’s, Master’s and PhD degree programmes. In addition it has a broad portfolio of further education for teachers and school management. Our research and our performing art and educational development work is directed towards school, classroom and workshop. Our research contribute to the national and international development of knowledge about learning and education in a lifelong perspective. The department continuously collaborates with schools in Trondheim and in the surroundings of the city, with other departments and faculties, national PD centers and other institutions nationally and internationally. This cooperation is partly thanks to students’ mandatory practice work arrangement, and research and innovation projects in different disciplines. The department runs one of the best and most popular Master’s degree programmes in mathematics education and is currently expanding its programme within science to include a Master degree in science education for school Grades 1-7 and 5-10. Within science and mathematics education, the research profile encompases several internationally and nationally esteemed research projects (e.g. Learners Perspective Study – LPS, EU PRIMAS, Teaching better Mathematics – TBM, TransMaths Norway, and MathTextbook Scandinavia, EU mascil, EU FaSMEd, EU INSTEM, Literacy, LOCUMS). Our expertise includes ICT and learning, entrepreneurship in education, inquiry based science and mathematics education, conceptual understanding and literacy. Further, In 2002-2004, the department developed and managed a national teacher education for bilingual teachers working as mother tongue teachers. This education made a special offer for grown up students with an immigrant background, many stayed in Norway as refugees. The study qualified for a multicultural bachelor degree, and students from all over the world were given the offer from 2004 until 2010. In addition to pedagogy, science and mathematics were offered as subjects. In 2011-2014, we implemented a teacher education with a multicultural view on mathematics and nature science. This was an education for both Norwegians and students from other countries wanting to teach in higher education in Norway. At present, through the project LOCUMS (Local Culture for Understanding Mathematics and Science, granted by the Research Council of Norway) and the current project IncluSMe we are developing further expertise in multicultural and intercultural mathematics and science education. Dr. Maria I.M. Febri is Associate Professor in science education at NTNU, Department of Teacher Education. Febri has a PhD in physics, materials science and structure. Since 2012, she has been working mainly in science teacher education especially with teacher students for primary and lower secondary school. Her present research concerns pre-service and in-service teacher professional development related to implementation of IBST-based approaches in primary school and to developing understanding of physics concepts. Febri has been a team member in the development of science teacher-training programs, included initial teacher training, further education for in-service teachers, and in 2015 master degree in science education. Since 2010 she has taken part in several EU funded projects: PRIMAS, mascil and FaSMEd, as well as national project on Science Literacy. She is co-author with Cyvin of a book chapter on the topic of outdoor science teaching in a diverse classroom. Jardar Cyvin is Associate Professor in science education at NTNU, Department of Teacher Education. He has a master degree in a cross-subject discipline zoology and landscape planning. Based on extensive research on classrooms application of ICT he has got a personal promotion as associate professor. Cyvin has taught a broad range of ICT and science subjects in preservice teacher education for 16 years, including biology, geology, technology, ICT-subjects, and pedagogical entrepreneurship, in classes of Norwegian speaking students as well as bilingual students. He has teaching experience from primary/lower secondary school, from teaching adults and students with special needs. Cyvin has participated in EU funded project FaSMed on formative assessment, in which he contributed with his expertise in ICT-technology. Cyvin is co-author with Febri of a chapter in a new book: “Diversity through recognition and inclusion in school”, where they discuss outdoor school teaching in a diverse science classroom. 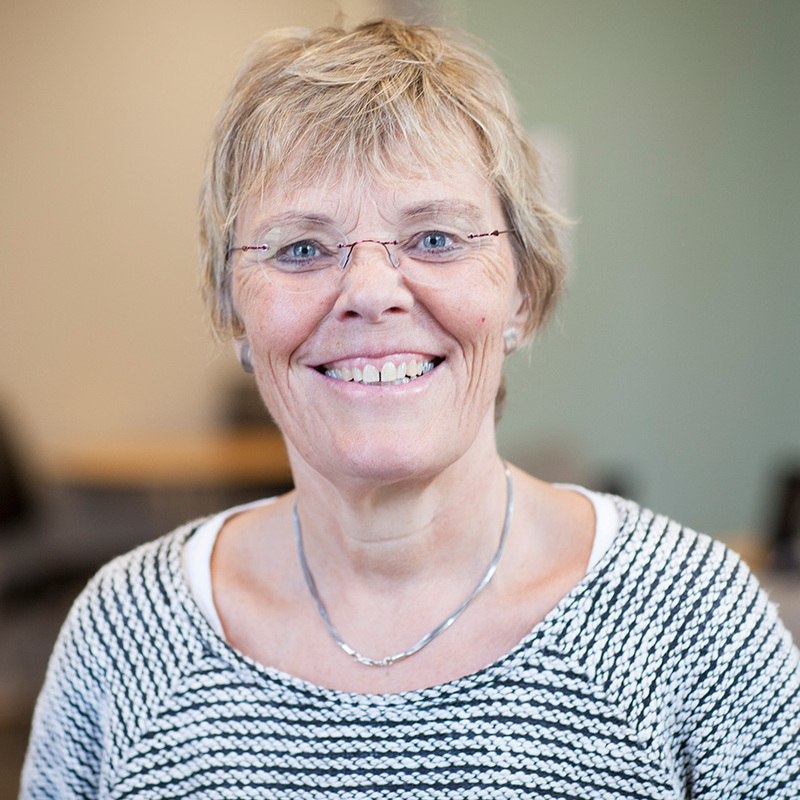 Dr Ragnhild Lyngved Staberg has her Ph.D. in biology and science education and is an Associate Professor at NTNU, Department of Teacher Education. She has taught bachelor and master courses at college and universities for 20 years, and has 12 years’ experience from teacher education at NTNU. Staberg participates in different national research projects in science education (e.g. dealing with use of IBST-based strategies in primary school and use of ICT-technology). Since 2010 she has taken part in several EU funded projects – mainly dealing with teacher professional development; PRIMAS, mascil and FaSMEd, partly as Work Package-leader. She has also co-authored a textbook on biology for science education courses for the Norwegian teacher education programme. At present, she is a member of the European Advisory and Impact board for the EU project MaSDiV (Supporting mathematics and science teachers in addressing diversity and promoting fundamental values). Anne Bonnevie Lund is Associate Professor in pedagogy at NTNU, Department of Teacher Education, and has been teaching pedagogy in pre-service teacher education for 20 years. Previously, she worked as a teacher in primary school. 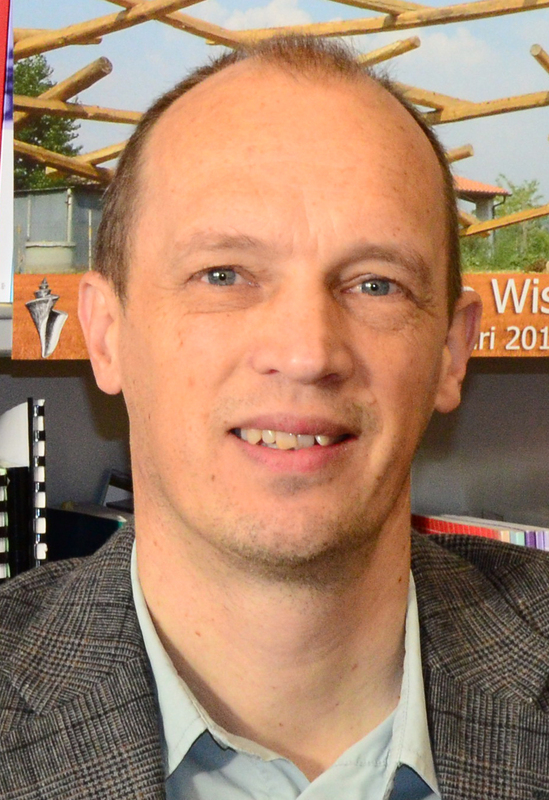 Lund has a master degree in Pedagogy, and has been promoted as Associate Professor based on extensive teaching and research connected to national minority groups: bilingual teachers, bilingual students and deaf students. In addition she has been engaged in a school development project for the national minority group, travelers; as well as classroom research about the use of ICT in science. 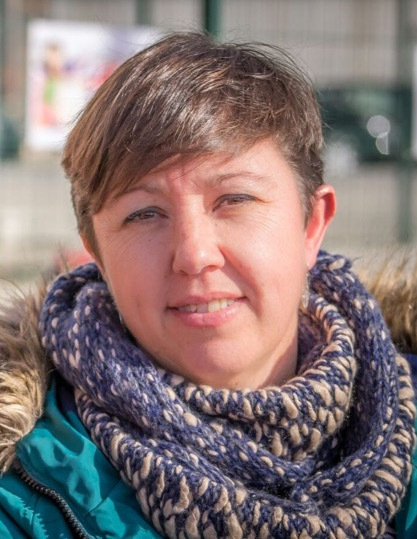 She has also worked as an adviser in primary school and as researcher in a project connected to how schools work making the teaching more diverse and multicultural. The last years Lund has been an editor of two books: "Norwegian national minorities" and " Diversity through recognition and inclusion in school". 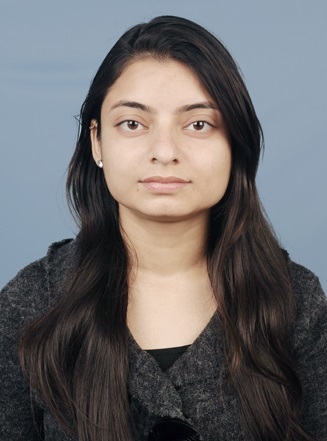 Shipra Sachdeva has been working as a PhD research fellow at the Department of Teacher Education, NTNU since January, 2016. She completed her Master of Science degree in Mathematics with a specialization in Statistics from NTNU in June, 2015. Currently, she is researching the interaction between student’s own culture and Mathematics and Science Education techniques and methodology in multicultural Norwegian schools. Her PhD work is connected to the research project LOCUMS (Local Culture for Understanding Mathematics and Science), in which focus is directed towards using student’s own cultural identity and practical activities as a starting point to plan teaching-learning in Mathematics and Science subjects at lower secondary school level. The National and Kapodistrian University of Athens (NKUA) was founded in 1837. It is a research-oriented institution consisting of 33 departments and offering a variety of undergraduate and post-graduate programs. The Department of Mathematics has 54 academic staff, and over 3000 students. It cooperates, through inter-state and inter-university agreements, with universities and research centres in Europe and internationally, for the promotion of science, scholarly research and exchange of information. The department is responsible for the education of prospective mathematics teachers since about half of the students of the Department of Mathematics follow a teaching career after their studies. Our team at NKUA consists of eight members with complementary research and teaching experiences related to the proposal such as: teacher education, teacher knowledge and practices, cultural diversity in the classroom and issues of equity, development of learning and teaching innovations and materials, large scale innovations and social anthropology. For several years, we run courses for large numbers of prospective teachers both for primary and secondary level. These courses are based on teacher education materials and resources (e.g. especially designed tasks, selected critical episodes, hands on materials, video-clips), promote inquiry-based approaches and make strong links between theory and practice. The members of the team have already collaborated in national and European projects such as Mascil (2013-2016) . Also members of the team have research experience in the area of multiculturalism and inclusion in mathematics classroom and teacher education and on the development of pedagogical practices for Roma and Muslim minorities in the region of Thrace. Therefore, the team’s expertise is very relevant for the IncluSMe project and the objectives of the intellectual output O6. 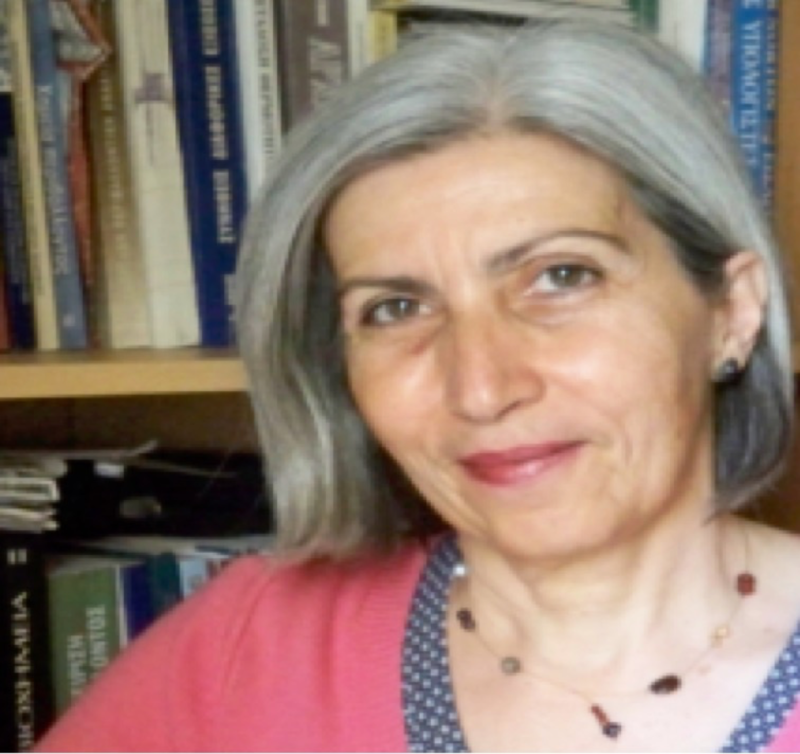 Despina Potari is a professor in Mathematics Education in the Department of Mathematics (National & Kapodistrian University of Athens). She has been visiting professor in different universities in Europe and US and currently at Linnaeus University in Sweden. Her research interests are mainly on the development of mathematics teaching and learning and teacher development and in particular on the role of different contexts and tools in the classroom setting as well on teacher knowledge and teaching practices. 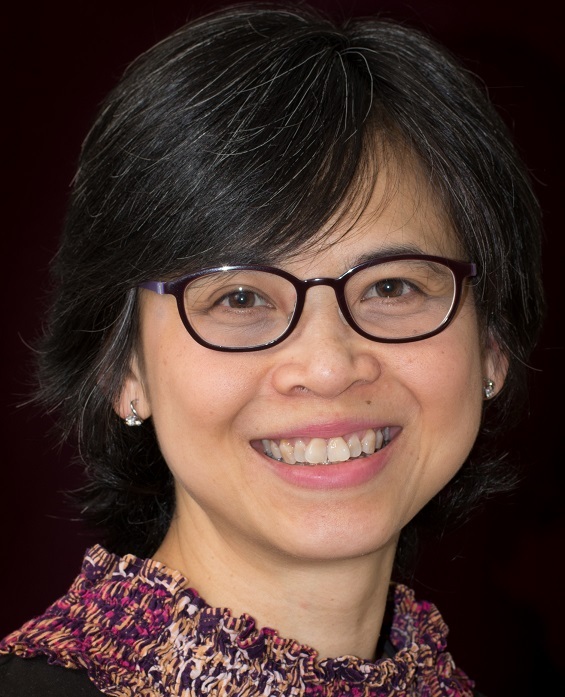 She is associate editor of the Journal of Mathematics Teacher Education, member of editorial boards and teams and reviewer for international journals and conferences. She has participated in European projects and in Mascil. 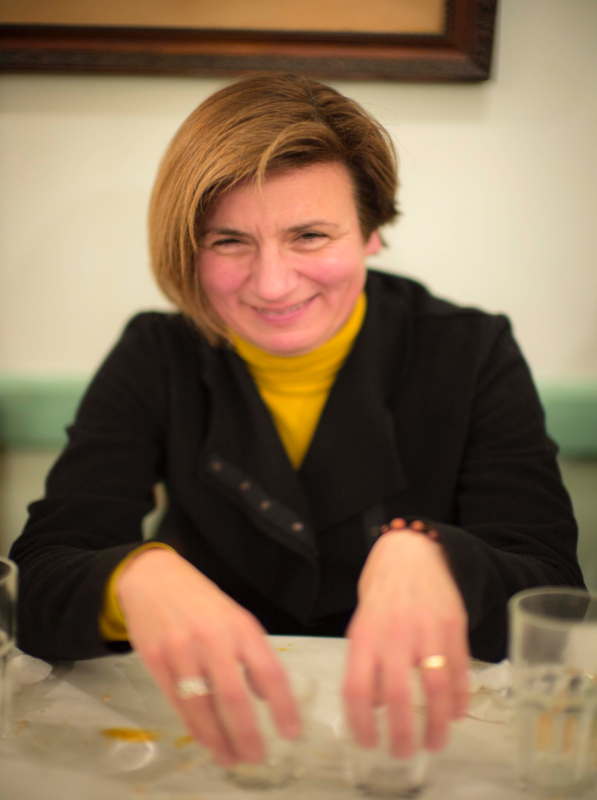 Penelope Papaillias s a cultural anthropologist and associate professor in the Department of History, Archaeology and Social Anthropology at the University of Thessaly in Greece. She has written on the politics of archive in Greek historical culture (Genres of Recollection: Archival Poetics and Modern Greece, Palgrave Macmillan 2005) and, more recently, taken the turn to database. Her current research explores the cultural politics of technological mediation in relation to subjects such as the media event and witnessing, visuality and violence, networked citizen groups, digital urbanism, and online affect. She recently co-authored an online, open-access textbook entitled Digital Ethnography (in Greek), http://repfiles.kallipos.gr/html_books/15369/. Giorgos Psycharis is Assistant Professor in Mathematics Education in the Department of Mathematics (National & Kapodistrian University of Athens). His fields of interest include the design of learning environments for mathematics with the use of digital technologies in middle school and pre-service and in-service teacher education (secondary mathematics teachers). He has worked in five EU-funded projects including Mascil. Charalambos Sakonidis is a Professor in Mathematics Education at Democritus University of Thrace, Department of Primary Education, Greece. He is a mathematician and a mathematics educator who has been involved in research on pupils’ learning of algebra, the role of the representational systems in students’ mathematical thinking, modelling for educational purposes and on socio-cultural aspects of mathematics teaching and learning. More recently, his research has focused on the construction of the mathematical meaning in the classroom and on issues related to the mathematics teachers’ professional development. Vasiliki Spiliotopoulou-Papantoniou is a physicist, has obtained an MSc in Physics Education from the University of Liverpool and a PhD in Science Education from the University of Patras. She is Professor at the Department of Education of the School of Pedagogical & Technological Education (ASPETE) in the field of Research Methods in Science, Mathematics & Technology Education. She has long experience as a teacher educator with secondary teachers in ASPETE and primary student-teachers in the University of Patras. 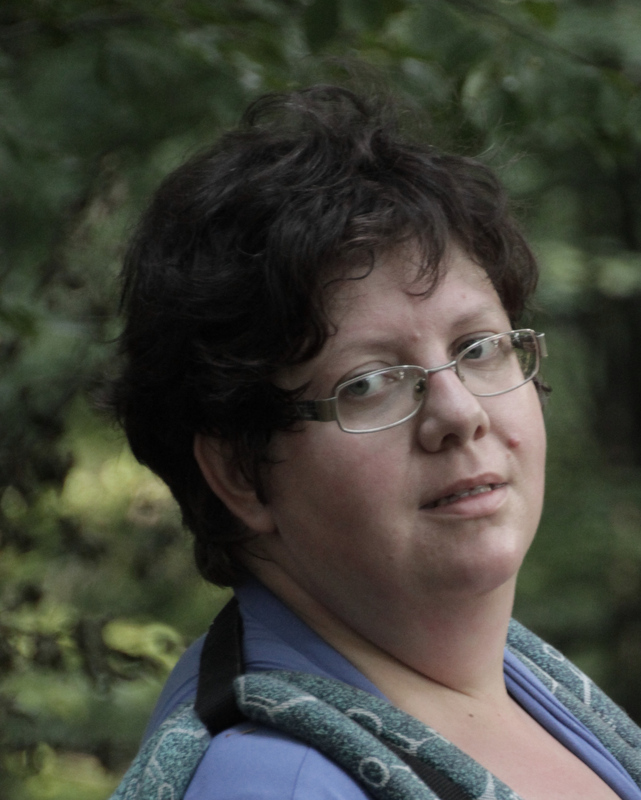 Her research interests involve the integration of science, mathematics and technology in teaching, the use of nature and history of science (NOS) in teaching, the development of authentic science learning situations and teaching materials, and the exploration of students’ conceptual thinking and textbooks’ arguments and images. Triandafillos Triandafillidis is an associate professor in Mathematics Education and Director of the Mathematics Education Lab at the Department of Primary Education of the University of Thessaly in Greece. 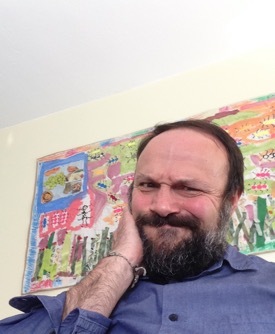 Since 1996 he teaches courses on Mathematics and Mathematics Education at the Department of Primary Education of the University of Thessaly in Greece, at an undergraduate and postgraduate level. Teacher education, geometry, as well as critical issues in mathematics education fall within his research interests. He has participated for a number of years in large-scale programs concerning the education of Roma populations in Greece. Chrissavgi Triantafillou’s research is centered on mathematics and science teacher knowledge and practices and their development of teaching innovations and materials. She is carrying out research on the professional development of mathematics and science teachers related to inquiry-based learning and on the argumentative practices developed in mathematics and science school textbooks. In the last years she was involved in pre-service and in-service teacher education activities. 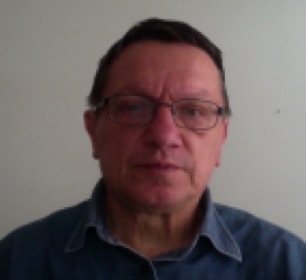 Theodossios Zachariades is professor in the department of Mathematics of National and Kapodistrian University of Athens in the areas of Mathematics Education and Functional Analysis. His research interests in the area of Mathematics Education include teacher education, university mathematics teaching and the teaching in secondary education. He has participated as a coordinator and partner in a number of research projects funded by the European Union, the Greek government and UoA. The University of Hradec Kralove (UHK) offers higher academic education for students both from the Czech Republic and abroad. In 2016, about 8.000 students studied at the Faculty of Education, Faculty of Informatics and Management, Faculty of Arts, Institute of Social Work and at the Faculty of Science. The University runs about 40 Bachelor´s, Master´s and Doctoral study programmes. About 30 % of study programmes are oriented to teacher´s education. In 2016, the UHK academic staff was about 500 members, of whom about 40 were university full-professors and about 80 associate professors (senior lecturers). The University staff successfully participates in teams solving specific research tasks, especially under the roof of various grants like EU-projects (i.e. Mascil). Their research results have been presented at numerous conferences and published in scientific journals and magazines. The UHK cooperates very intensively, in research and education as well, with many universities both in the Czech Republic and abroad, which is for the benefit of all institutions concerned. The UHK is regional educational and cultural centre with wide influence on the social context. It means that its departments and professionals are active in work with people with special needs, in different activities of social work and in cooperation with different institution from area of intercultural, environmental and cultural orientation. The IncluSME-team of UHK is situated at the Faculty of Science, which has one of three main research domains “Subject Didactics”. In 2013 there was a research team for “Subject Didactics of Natural Sciences, Mathematics and Informatics” established, that receives annual support from the whole faculty budget as well as from budget of research and development projects. Mentioned team creates good platform for realisation of pre-service teacher´s education and teachers professional development by innovative and creative ways oriented also on educational consequences of global environmental problems. The faculty hosts a Centre K-LaMPa (Hradec Kralove Labs of Young Scientists and Czech Training Centre for Physics Olympiad (Department of Physics) and a Centre for Teachers Professional Development (situated at Faculty of Education, cooperated with Faculty of Science). Professionals in area of STEM education from the faculty cooperate with a number of non-governmental and non-profit organisation working in area environmental, ecological and intercultural education. For STEM teacher´s community has faculty long-term experience with organisation of thematic workshops, i.e. “Neither Mathematical Talent Wasted”, “Market of Chemistry Teachers Ideas”, “Physics around us”, “We game through the head” etc. Faculty of Science is guarantor of STEM teachers study programmes for upper secondary education and in cooperation with Faculty of Education its departments ensure STEM teachers study programmes for lower secondary education and for primary and pre-primary education (parts maths, natural sciences and environmental studies). Students have possibility to use many offers for study and practical stays in abroad. In EU countries it is programme Erasmus Plus, in non-EU countries these are countries from different parts of the world: Canada, Brazil, South Africa, Taiwan, and Russia. 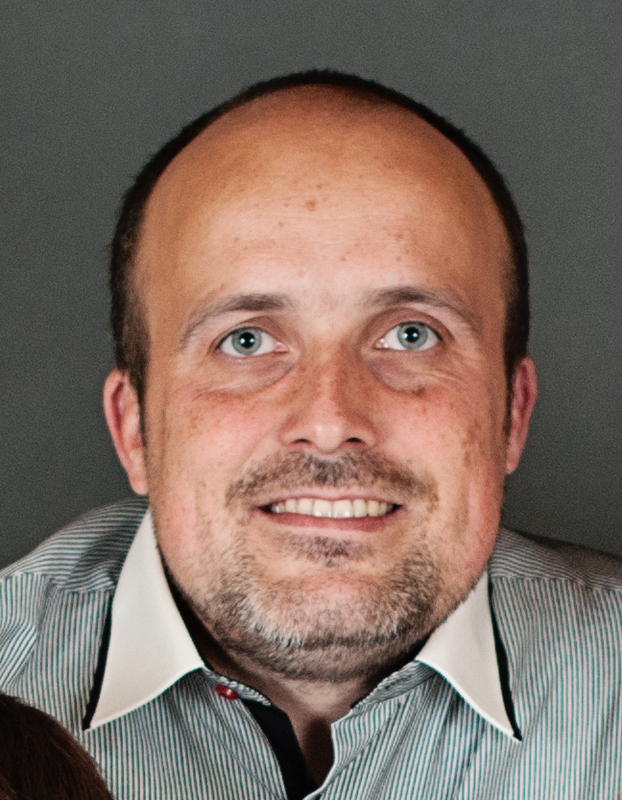 Prof. Dr. Martin Bílek is full-professor at the Department of Chemistry (Head of Section for Chemistry Didactics) Faculty of Science at the University of Hradec Králové. He graduated as a chemistry and physics teacher for secondary school at the Pedagogical Faculty Hradec Králové (M. Ed., 1988). In 1996 he received Ph.D. in pedagogy/educational technology at Pedagogical Faculty of the Charles University in Prague, followed by the habilitation (Assoc. Prof., 1999) and inauguration (Prof.) in didactics of chemistry at Faculty of Natural Sciences of the M. Bel University in Banská Bystrica (Slovakia) in 2006. His scientific and pedagogical activities are focused on didactics of natural sciences and technical subjects, with a special focus on chemistry, curricular analysis of natural science education and Information and Communication Technology in science and technical education. He is member of many scientific societies and boards and published about 160 research and pedagogical publications. 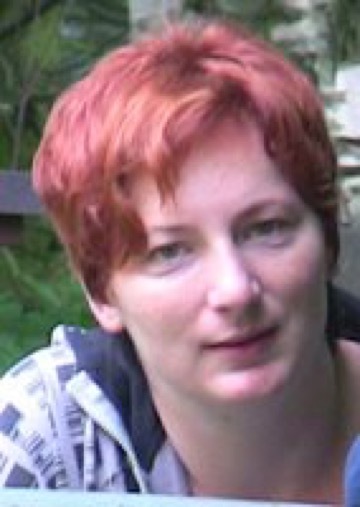 Dr. Veronika Machkova is assistant-professor at Department of Chemistry Faculty of Education University of Hradec Kralove. She graduated as Teacher of Chemistry, French language and Informatics for secondary schools at Pedagogical Faculty of the University of Hradec Kralove (M. Ed., 2001). Her Ph.D. she received in Specialization in Pedagogy: Information and communication technology in Education. She researches the use of computers as (especially web-based) tools in natural science teaching and learning. She has experience with teaching at vocational school and in teachers’ professional development. The University of Jaén offers a wide range of academic programmes, including 40 degrees in the fields of Education, Experimental Sciences, Engineering, Health Sciences, Social Sciences, Law and Humanities (graduate, PG, and PhD studies). In 2015, the University of Jaén received the Excellence Award from the European Foundation for Quality Management, as an international recognition of its high-quality approaches and services and its engagement with excellence and innovation. Within a modern and well-equipped campus, the Faculty of Humanities and Learning Sciences offers graduates and post-graduate studies for primary and secondary school teachers with a special focus on innovative pedagogies to face current educational challenges, such as those related to the increase of heterogeneity and cultural diversity in the classroom. It trains over 1400 student teachers annually, in partnership with over 180 schools in the Jaén area, offering interesting opportunities to disseminate and support innovative pedagogies in science education. The UJA team comprises an expert in inclusive educational models and three experts in STEM education with extensive experience in the use of innovative pedagogies such as inquiry-based learning and socio-scientific issues also as active, participatory and inclusive approaches. All the UJA partners have been involved in teacher initial and continuous education for over ten years. They have been collaborating with local and regional educational authorities for several years and keep a good relation with key policy makers from the educational areas. They are also experienced in organising dissemination events addressing several target groups (teachers, teacher educators, educational authorities and policy makers). Dr. Marta R. Ariza has taken responsibilities and been actively engaged in other European projects (COMPASS, PRIMAS, MASCIL, PARRISE) related to the design, implementation and evaluation of innovative materials for teacher professional development on inquiry-based education, connections with the real world and socio-scientific issues. Her previous experience provides an interesting background for leading the Spanish team and the development of two intellectual outputs within the project. Dr. Antonio Quesada studied Chemical Sciences at the University of Jaen, where he obtained his Ph.D. in June 2003. He joined the Department of Didactics of Sciences as a lecturer in April 2005. He is assistant Professor in Science Education and has been involved as educator for primary and secondary Science teachers. 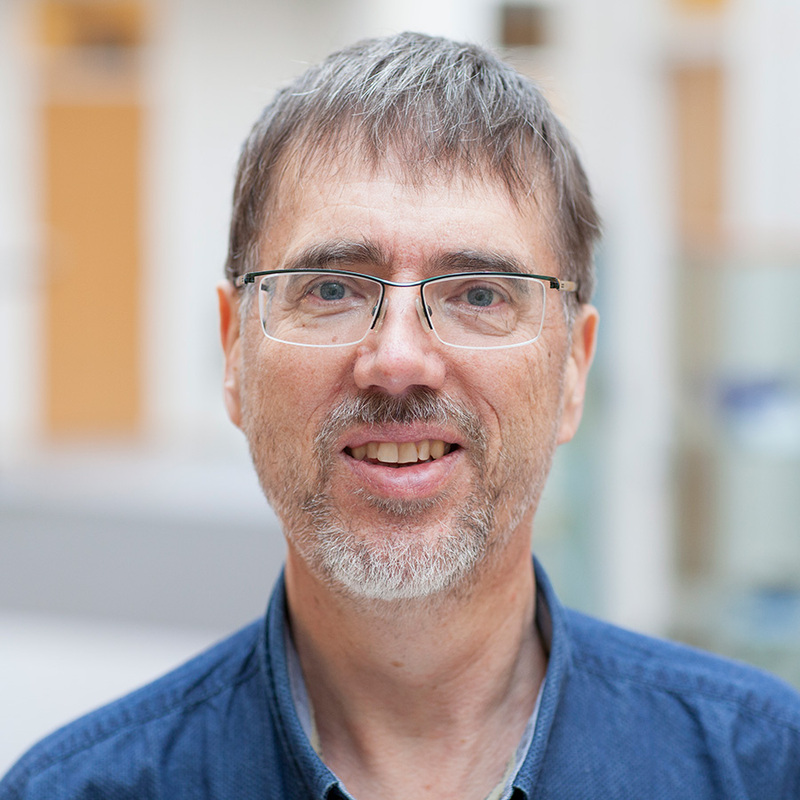 His research interests focus on the application of information and communication technologies for the teaching and learning science at primary, secondary school, and at higher education. He has been engaged in some cross-national European projects related to inquiry- based learning and socio-scientific issues, initial teacher education and teacher professional development. Dr. Ana Mª Abril research is centered on science teachers’ knowledge, understanding and skills. She collaborates actively with several networks, including gender and science studies networks. She has been involved in different European projects (COMPASS, PRIMAS, MASCIL, PARRISE) with a common target in science education and teacher professional development. She closely collaborates with several Teachers’ Centres and she collaborates actively with the Association of Teachers and Researchers in Didactics of Science. This will ensure an optimal link between the project’s actions and the Spanish network of science teachers and trainers. Dr. María J. Colmenero is an expert with specialized research and publication on Inclusive educational models to facilitate learning in heterogeneous and culturally diverse settings, supporting students to learn together, regardless their personal, social or cultural conditions, through the assumption of common needs and specific interests and strengths. First established in 1592, the University of Malta continues to be the highest teaching and learning institution of the country. The University strives for excellence, is very active on the international scene and has link agreements with many universities in Europe and beyond. The Maltese team comes from the Faculty of Education which was set up within the University in 1978. The faculty provides for national needs in initial teacher education for schools in the primary and secondary school sector and is engaged in research and projects at a national and international level. It also offers several post-graduate programmes at Masters and PhD level. The Faculty has strong links not only with the national Educational authorities but also with all schools in both primary and secondary sectors. Within the Faculty of Education, the Department of Mathematics and Science Education (DMSE) has an extensive experience of initial teacher education. It offers courses in Mathematics Education, Science Education and Geography Education in initial teacher education programmes and post-graduate research programmes. The research activities of the Science and Mathematics teams within DMSE target teacher education and teaching, learning and assessment in Mathematics and Science among other things. The DMSE also collaborates with the local Educational authorities in developing curricula, running professional development for teachers in schools and for organizing national conferences in Mathematics and Science education. The main philosophy which guides the science and mathematics teams within DMSE is the development of reflective teachers who have a commitment towards student-centred learning and who engage all students in relevant, meaningful and enjoyable experiences of science and mathematics that prepare them for life as future citizens. In this project members of the DMSE are collaborating with colleagues from the Department for Inclusion and Access to Learning (DIAL) for its expertise in multicultural and culturally responsive education. The DIAL promotes concepts of belonging, community and engaging learning opportunities for all learners to develop their self-determination and quality of life, quality and equity education for all without any type of barrier or exclusion. Members of the Maltese team will combine and share their expertise in relation to intercultural education in STEM subjects. The team has been involved in collaborations with schools on initiatives related to mathematics and science education. Members of the team participated in several other projects like PRIMAS (Promoting Inquiry in Mathematics and Science across Europe), Capacity Development of Faculties of Education in International Approaches to Teacher Education, E-PLIPS (Implementation of a European Dimension by Peer Learning in Primary School), SPICES (Social Promotion of Intercultural Communication Expertise and Skills) and e-SPICES (electronic Social Promotion of Intercultural Communication Expertise and Skills). This experience will support them in their work on this project. Josette Farrugia is a Senior Lecturer in Science Education and head of the Department of Mathematics and Science Education. She is currently involved in the initial teacher education programmes and post-graduate courses offered by the University of Malta. Dr Farrugia has been regularly involved in teacher professional development courses related to practical work and investigations in science, inquiry-based learning, assessment and design of assessment tools and tasks to develop and assess different skills, among others. Dr Farrugia participated in the FP7 project, PRIMAS (Promoting Inquiry in Mathematics and Science across Europe). Inquiry-based learning, problem-solving and teacher professional development are among Dr Farrugia’s research interests. Charles Bonello graduated with a B.A. [Educ] in Physics and Science in 1981. He then proceeded to do a B.Sc. in Mathematics and Physics in 1991 and a M.Ed. in 1996. He obtained these degrees from the University of Malta. He then successfully obtained a doctorate degree in science education from the University of Sheffield, UK in 2010. As from 1981 to 2010, Charles taught Science and Physics in secondary and post-secondary schools. He joined the Faculty of Education as a part-time lecturer in Science Education in 1997 and as a full time lecturer in 2010. He is presently a senior lecturer in Department of Mathematics and Science Education. 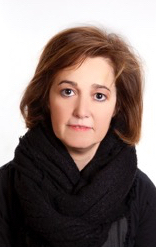 Deborah A. Chetcuti is an associate professor in science education at the Faculty of Education, University of Malta. Her research interests are related primarily to assessment practices both at secondary level as well as in initial teacher education; the impact of examinations on students; learning science through drama and reflective practice. 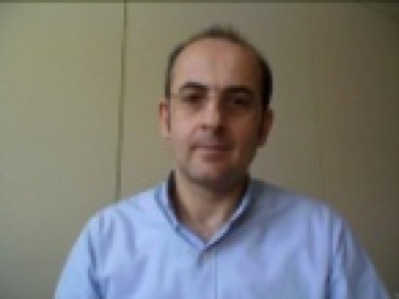 Martin Musumeci is a Senior Lecturer in Science Education. He has taught Chemistry at various levels and also occupied various posts at the Matriculation and Secondary Education Certificate (MATSEC) Examinations Support Unit of the University of Malta including the post of Executive Director. His research interests include assessment and subject choice. 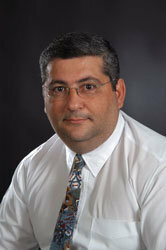 Dr Musumeci participated in various EU projects and published several papers. Dr François Mifsud was born in Malta, and completed his undergraduate studies in philosophy and social anthropology at the University of Malta. 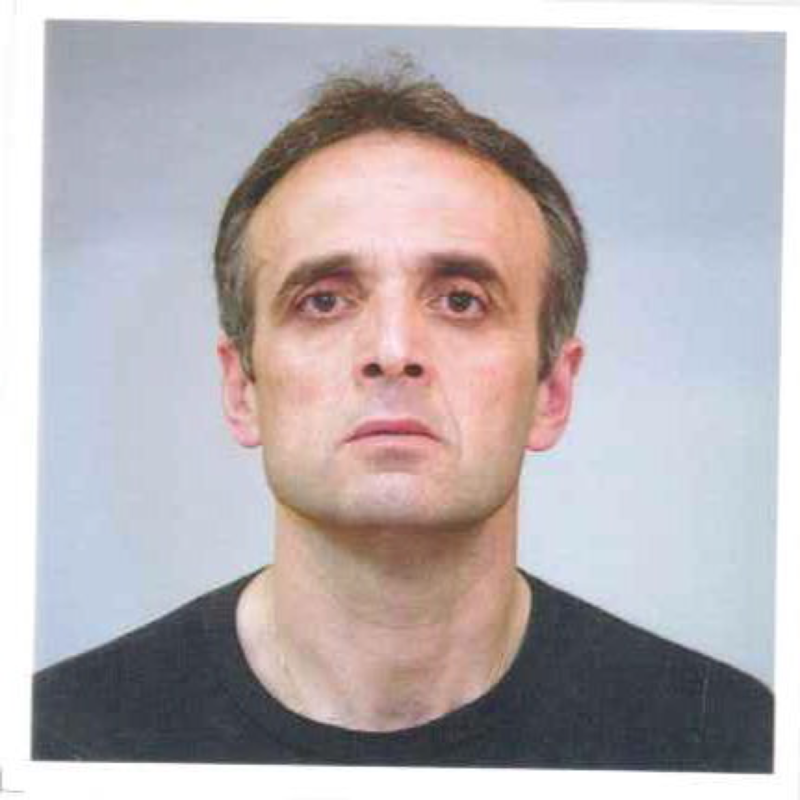 He also holds a Theology degree from the Facolta Teologica Emilia-Romania (Bologna) and a Masters in Social Justice and Education from the Institute of Education (IOE) at University College London. Recently he completed a PhD in philosophy of education at OISE, University of Toronto. His PhD thesis title is “First hospitality for educability: an ethical, epistemological and political symbiotic relationship.” His research orbits around questions of social justice, diversity, inclusion, and educational possibilities. 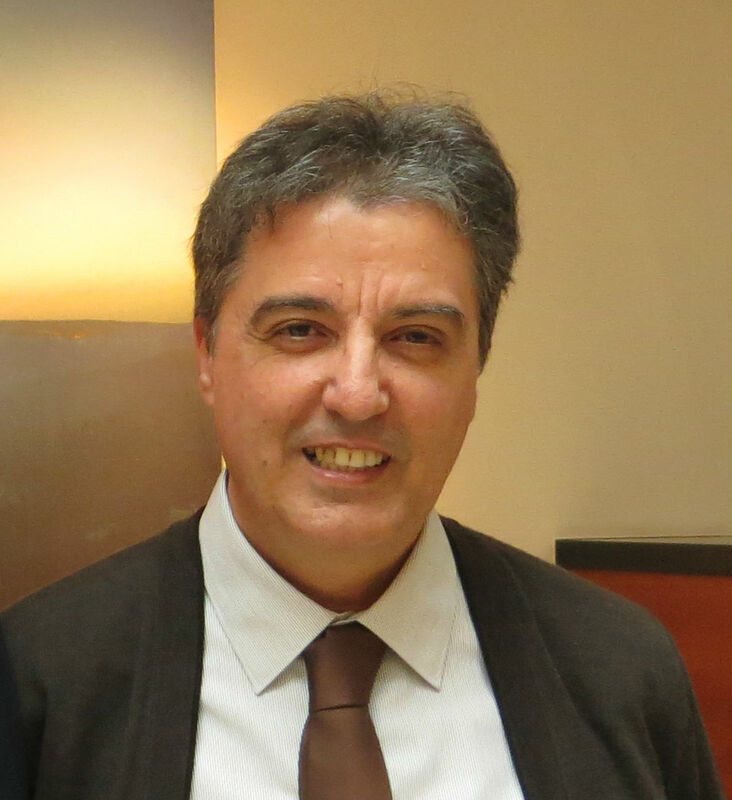 Currently François holds the position of lecturer in multicultural and education studies in the department of Inclusion and Access to Learning at the Faculty of Education, University of Malta. The Freudenthal Institute for Science and Mathematics Education (FI) is part of the Faculty of Science of Utrecht University (UU) in the Netherlands. The mission of the institute is to stimulate and broaden the interest, knowledge and skills of students and teachers in the field of mathematics and the natural sciences, and stimulating reflection on the sciences and their rich multicultural history and foundations. A focal point for this is the relation to the National Science Agenda (“Nationale Wetenschapsagenda”) and the goal to prepare citizens for and educate them to participate in a diverse, quickly changing, technology-oriented society (scientific citizenship). The institute offers support for teachers and provides courses for student-teachers in learning the necessary basic skills (21st century skills) such as combining new information and insights with available knowledge, problem solving skills, creativity, reflection and cooperation. Among these skills, special attention is paid for metacognitive prompts and language-producing activities that foster the importance and role of language in mathematics and science learning, as this learning is largely a social and communicative practice. The institute is responsible for the Science Education and Communication master at the Science Faculty. This master includes the students who opt for an academic teacher degree in one of the science subjects or mathematics. Each year, circa 30 students enrol in this master. The institute participates in a national network that emphasises the importance of attention for language development in education of all disciplines in a multicultural society (Wijers participate in this network “Platform voor Taalgericht Vakonderwijs”). The IncluSME-team ofthe Freudenthal Institute combines expertise on context-based science and mathematics education, with colleagues participation in national expertise centres for student teachers for mathematics and science (ELWIER and ECENT), and with expertise in the area of preparing student teachers for the multicultural classroom. The key persons that closely work together have experience in running dissemination events and conferences, in initial teacher education, and have contacts with institutes that are responsible for higher education curricula. They have been involved in various national and international projects on designing educational materials for science and mathematics, with a special focus on context-based tasks and inquiry-based science teaching (IBST). Michiel Doorman works as a researcher and teacher trainer at the Freudenthal Institute of Utrecht University. 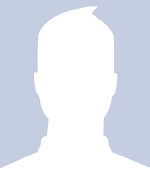 His interests are context-based mathematics education and coherency between mathematics and science learning. 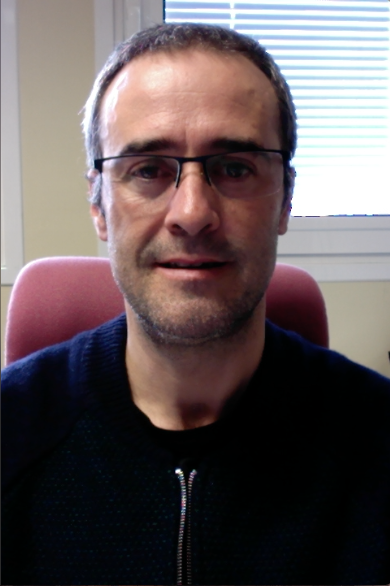 In the past, he has been involved in the Comenius project Compass (developing interdisciplinary teaching units) and the FP7 projects Primas (teaching materials and professional development units for promoting students' inquiry in science and mathematics) and Mascil (inquiry-based science and mathematics with workplace contexts). In addition to these European projects, Michiel Doorman also participates in various national projects on designing educational materials and connecting science and mathematics. He is member of the board of the Dutch association for mathematics teachers. 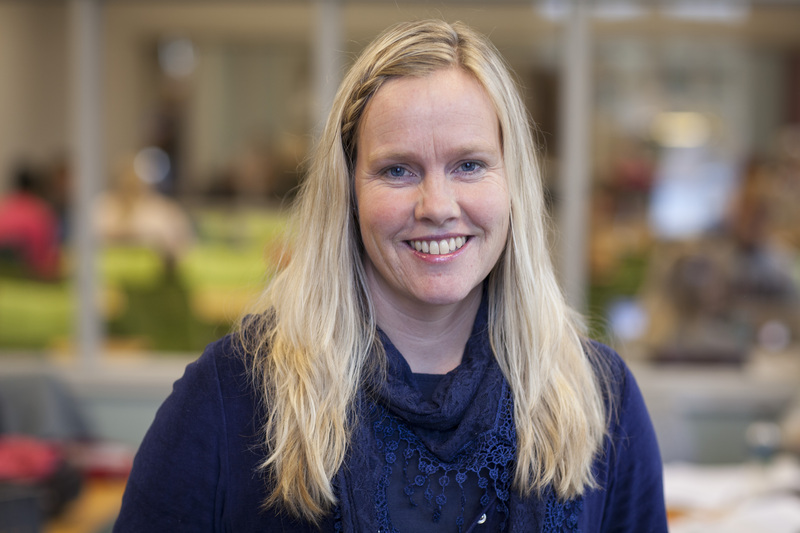 Monica Wijers is a researcher, designer and initial teacher educator in mathematics education with a focus on secondary and vocational education. She is an expert in the design of authentic tasks for inquiry-based learning in mathematics that involve group work, creativity and problem solving. She participates in various national projects on designing educational materials for a variety of target groups, from functional illiterate adults to high school teachers and university students in teacher education. Wijers also participates in the national platform for language-oriented education that advocates the importance of language development in all disciplines and she participated in the European FP7 project Mascil (inquiry-based science and mathematics with workplace contexts). 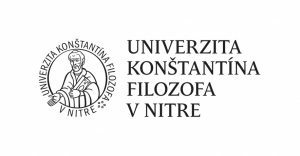 Constantine the Philosopher University (CPU) in Nitra provides teacher education and prepares teachers for primary and secondary schools across the country since 1959. The number of graduates in teacher training study programmes reaches more than 500 graduates every year. During the period of existence of the institution, students who graduated at the university have influenced education of several generations and the institution has built up a network of cooperating teachers and schools in the whole Slovakia. Teacher trainees accomplish pedagogical practise at schools not only in Nitra region, but also in other regions, villages and cities in Slovakia. Constantine the Philosopher University in Nitra, as one of the first universities preparing teachers in Slovakia, responds to the current lifelong education system for teachers very actively. Lifelong, continuing, further educational programmes for pedagogical employees are accredited at most of the university departments. In-service teachers participate in educational activities, research projects focused on mapping different attributes of pedagogical practice. The University is well recognised as a reliable partner of various formal or informal contacts within the regional institutions and educational bodies and enterprises. Impact of the projects and activities of the university is very well recognised within the whole Slovakia. University teachers are regularly invited to various Slovak national educational bodies, councils and expert groups to fulfil important mission concerning their expertise in general research as well as in research in education. These contacts open the possibility to propose, discuss, disseminate and influence the educational and research policy bodies in Slovakia towards innovations in education and educational research. The uniqueness of CPU in education is represented by teacher training programmes in Hungarian language tailor made for future teachers in the ethnically mixed areas of Slovakia and the training of teachers, social workers and public education for Roma ethnicity. The University also organises lifelong learning courses, especially in form of supplementary/additional study as well as courses of Interest study at the University of the Third Age. At Constantine the Philosopher University, project teams consist of experienced university teachers, experts, complemented by young pedagogical post-doctoral staff as well as by doctoral students in study programmes oriented on scientific research in pedagogy, general didactics (theory of instruction) as well subject didactics such is: mathematics, physics, ecology, computer science and technics. University teachers and researchers from Faculty of Natural Sciences have been involved and successfully completed several high quality research and educational projects. Project with the most valuable impact to teachers education and professional development of teachers are: 7FP PRIMAS (www.primas-project.eu), MaT2SMC (www.mat2smc-project.eu), DynaMAT https://www.dynamathmat.eu/, MOTIVATE ME in Maths and Science, Math2Earth and COMPASS (www.compass-project.eu). The short-term project supported by scheme of European Economic Area: “Improving Quality of Higher Education Based on Development of Multilateral Institutional Cooperation” (www.ukf.sk/en/project-nis) was focused to sharing the best experience in doctoral studies. Janka Medova is PhD. lecturer in the Department of Mathematics, Faculty of Natural Sciences, CPU Nitra. She has participated as researcher in many research and educational projects in mathematics and science education, e.g. 7FP project Primas and Comenius projects MOTIVATE ME, Math2Earth and Compass. She has organized several workshops on the use of ICT in Mathematics education and popularization lectures about the use of mathematics in computer science for secondary students. She is experienced tutor of courses for professional development. IVANA BOBONOVA, graduated from the Faculty of Natural Sciences, Constantine the Philosopher University in Nitra, where she also completed her PhD. studies in the area of applied biology in 2014. In addition, she studied at University of Hradec Králové (Hradec Králové, Czech Republic) and University of Agder (Kristiansand, Norway) as a part of the Erasmus study exchange program. Besides, she worked in non-governmental organization dealing with youth education, where she was specialized in non-formal education and project managment. Her scientific papers were published in monographs and journals, and she presented her results at various international conferences. 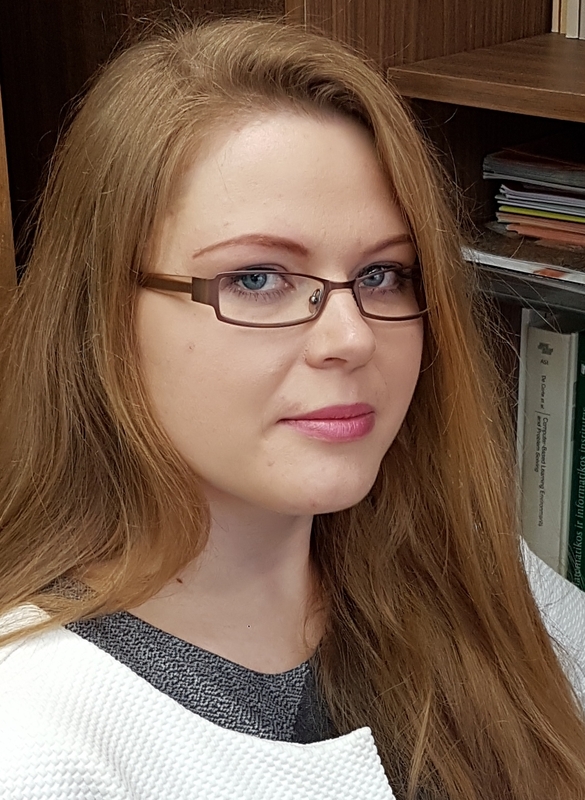 She is currently working as a Postdoctoral Researcher at Constantine the Philosopher University in Nitra within the project Teacher‘s Competences Evaluation (2015-2019). 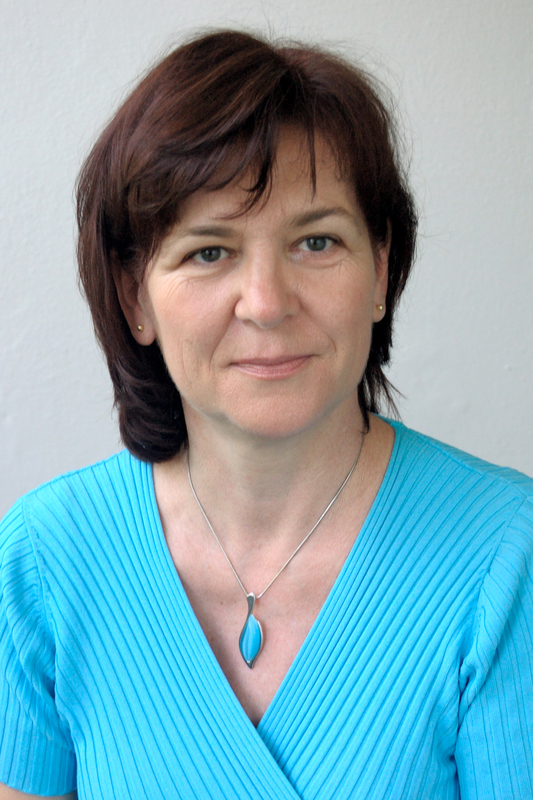 Sona Ceretkova is associate professor of mathematics education in the Department of Mathematics, Faculty of Natural Sciences, CPU Nitra. She is experienced team leader of national and international projects in mathematics and science education, co-author of textbooks of mathematics for lower secondary school and organizer and lector of courses of professional development of mathematics teachers. She works as regional expert in Mathematics Olympia competition and national contact person for contests Mathematics B-day and IMMC. She is supervisor of PhD students of Theory of Mathematics Education; Faculty of Natural Sciences Scientific Board member and ICMI Slovakia representative. 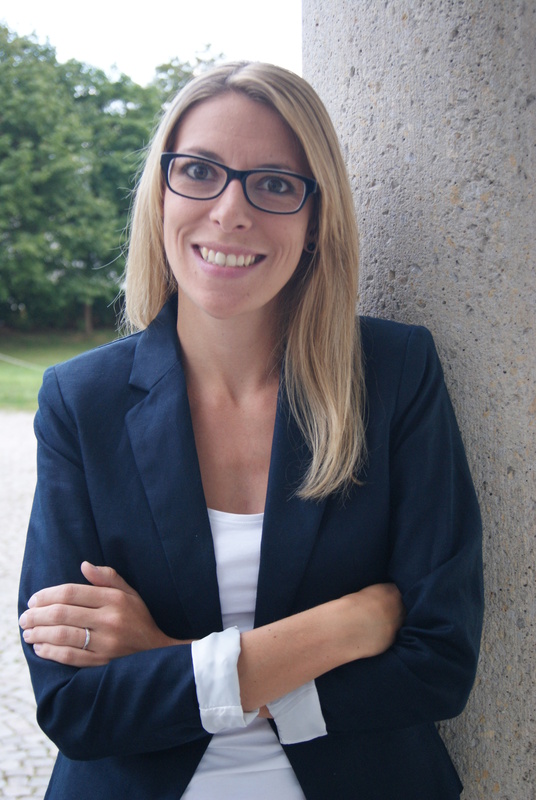 The main focus of her research is inquiry-based education in mathematics, interdisciplinary and didactical principles of mathematical tasks and teachers’ education and evaluation of teachers’ competences. Imrich Jakab is PhD. Lecturer in the Department of Ecology and Environmentalistics, Faculty of Natural Sciences, CPU Nitra. His research is centered on utilization possibilities of Geographical information systems (GIS), especially use of spatial analysis in the field of ecology, environmental science and environmental education. In education area he is carrying research focused on possibilities of GIS use in interdisciplinary relations and connection of GIS with various pedagogical approaches such as inquiry-based learning, project-based learning, and outdoor education, e-learning. In education research area Dr. Jakab collaborates with several elementary and secondary schools and prepares students of teacher training studies for their practice as science teachers and trainers. Vilnius University (VU) is one of the largest, oldest and most famous establishments of higher education in Eastern and Central Europe. It was founded in 1579. Functioning for a long time as the only school of higher learning in Lithuania, it was a preserver of cultural and scientific traditions, and has played a significant part in the cultural life not only of Lithuania, but the neighbouring countries as well. VU has 12 faculties, 7 institutes, 4 study and research centers, the oldest Library in Lithuania, 3 university hospitals, etc. Currently VU has over 3.750 academic staff and over 21.500 students. With its large scientific potential in terms of well-known researchers in mathematics science-related disciplines, VU has a vision to make more active collaboration with the country’s educational system through implementing scientific research and innovative teaching and learning methods. VU actively collaborates with the Ministry of Education and Science in terms of performing scientific research on STEM-related topics while implementing large-scale EU-funded projects. VU also directly collaborates with a network of innovative schools in order to implement sound pedagogical methods and approaches to enhance learning quality and effectiveness, mainly in mathematics, physics, chemistry and other science subjects. Deep research based experience of the partners from VU provides a rich background and VU scientists are experienced in implementing information and communication technologies (ICT) and math-based approaches in teacher training and school education. Key persons of the project team have been working in mathematics and computer science (informatics) education field for many years. Their research interests focus on the technology enriched learning and teaching especially informatics and informatics engineering or software engineering, also they are interested in application of learning science and professional development of mathematics and science teachers in primary and secondary schools, with special attention to the mathematics reasoning and cultural approaches. Prof. Dr. Valentina Dagiene is principal researcher and head of Department of Informatics Methodology in Vilnius University. She published over 200 scientific papers, and more than 50 textbooks in the field of informatics for schools. She is actively involved in various national and international committees as well as work groups on informatics education research. 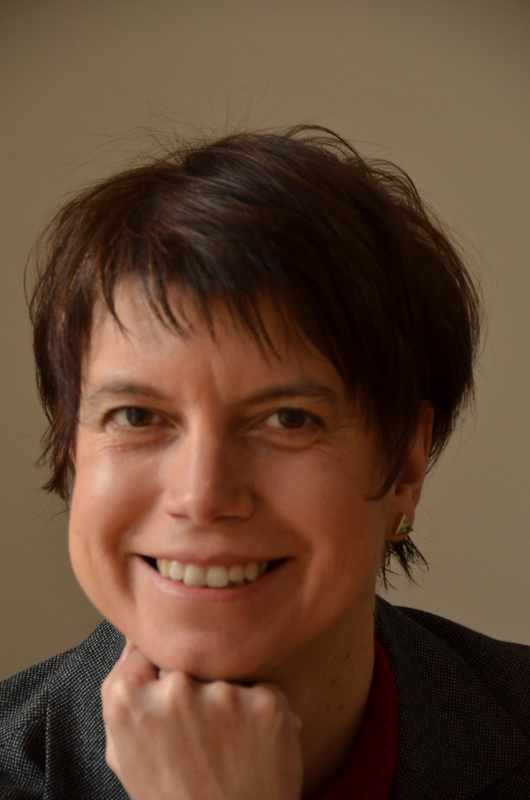 Dagiene is editor of two international journals: “Informatics in Education” and “Olympiads in Informatics”, the first one is included in Web of Science Emerging Sources Citation List. In 2004 she founded International Challenge on Informatics and Computational Thinking BEBRAS which runs annually and involves more than 50 countries. For complex research work “Information technologies for comprehensive education: formation of the directions for implementation and development of educational software, and software localization“ she got the National Science Award in 2008. 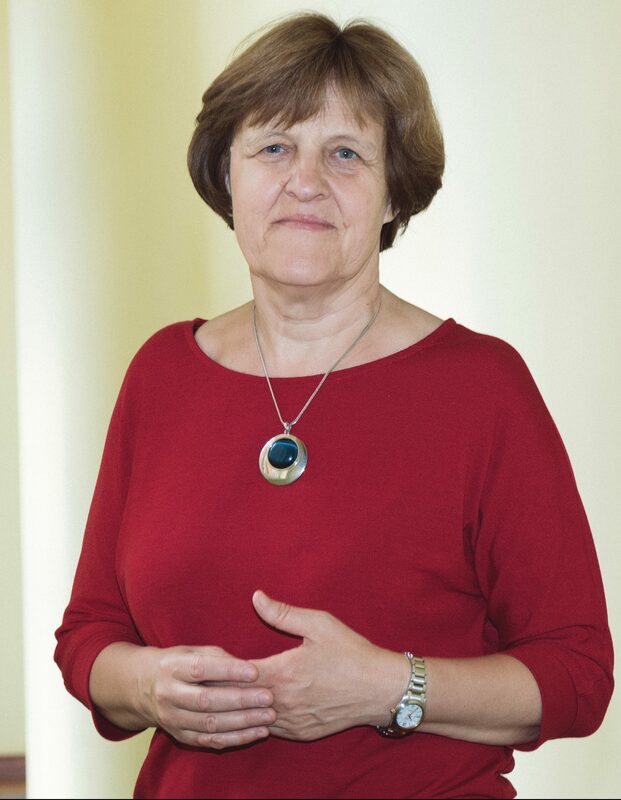 Also she got the ETH Zurich honorary medal for contributions to school informatics in Europe (2011), and Ada Lovelace Computing Excellence Award by the European Commission´s (2016). In 2016 she got the state award, the Cross of the Knight of the Order of the Lithuanian Grand Duke Gediminas. Lina Vinikiene studied a program of distance learning information technologies and got master degree in Vilnius Gediminas Technical University. She started her research in PhD studies in Vilnius University three years ago and started working in the Institute of Mathematics and Informatics as specialist. Her research is centered on the assessment of IT and informatics. The areas of scientific interest are assessment of student competencies, test validity and reliability, assessment tools. 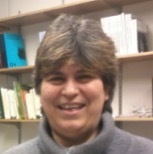 She is involved in organizing the "Bebras" network on informatics and computational thinking. She has experience on management of e. learning, development online courses, e. learning platforms. Also she has experience with implementing EU-funded projects. University of Nicosia (UNic) (www.unic.ac.cy) is the largest private university in Cyprus with over 7000 students. It is an independent, co-educational, equal opportunity institution of higher education, which offers a wide range of programmes to students from around the world. The University through its five Schools (Medical School, School of Business, School of Education, School of Humanities, Social Sciences and Law, School of Science and Engineering), offers 40 Bachelor degrees, 32 Master degrees and 11 doctoral programmes in business, science, medicine, education and the liberal arts. International in philosophy, the University hosts students from all over the world, in a multicultural learning environment, promoting friendship, cooperation, and understanding. The University pursues excellence in education through research and high teaching standards, in a continually improving academic environment. The School of Education employs 22 full-time faculty and 32 part time while it offers degrees in Primary and Pre-primary Education, Masters degrees in Education (with 8 specializations), and PhD in Education . It has links with several pre-primary and k-12 schools with which it collaborates on several projects. UNIC’s degree programmes are accredited by the Cyprus Government, the NCA of USA and some European Accrediting Bodies. It currently has over 5500 students enrolled and around 28% of its student population are non-cypriots, something which makes it a multicultural institution where diversity and pluralism are valued. The School of Education at UNIC has extensive experience participating in EU funded projects. One of the tasks of the research group within the School of Education is to conduct research to contribute to the improvement of education. In addition, we are experienced coordinators and participants of projects funded by the EU, the US Department of Education, and large corporations. We have strong expertise on special education, educational psychology, adult education, technology based learning, science education inclusive education, school improvement, social inclusion, intercultural education, teacher development, ICT, e-learning, distance education, collaborative inquiry, research, and evaluation. 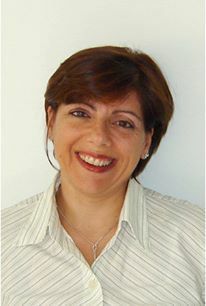 Dr. Maria Evagorou is an Assistant Professor in Science Education at the University of Nicosia, Cyprus. Her research focuses on exploring and enhancing students’ argumentation and system thinking skills within science education with the use of technology. More specifically, the emphasis of her work is on students’ talk when they engage in the discussion of socio-scientific issues and how the use of online technologies can enhance students’ argumentation skills and inquiry based learnint. 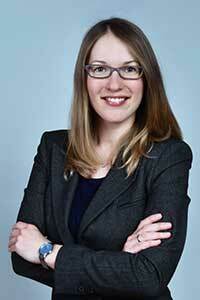 Her work combines both qualitative and quantitative research methods. Maria has published in referred journals and books, has co-edited a book titled Trends in Science Education (in Greek) and has received EU funding to work on projects on argumentation in science. Maria is currently a strand coordinator for the European Science Education Research Association conference, and a member of the editorial board of JRST. Nicolas Mousoulides is an Assistant professor of Mathematics Education at the University of Nicosia. 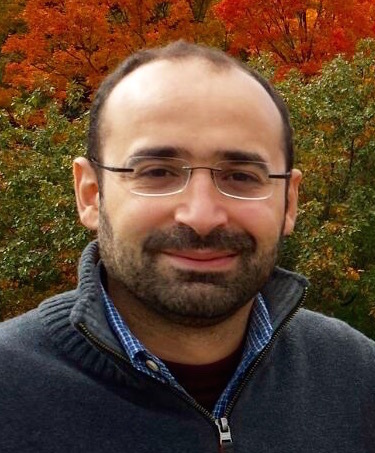 Mousoulides is a well-established researcher in the area of mathematics and engineering education. His research interests include: (a) Mathematical Modeling and Metacognition, (b) Development of Engineering Problem Solving Skills through Mathematical Modeling, (c) Integrating ICT in Mathematics and Science Teaching and Learning, and (d) Curriculum development in STEM. Mousoulides has published more than sixteen original articles in peer reviewed academic journals and chapters in books, and more than thirty-five research papers in international conference proceedings. Mousoulides has experiences in working as a lecturer in education and engineering departments in five universities in Cyprus and Greece. He has also worked as a coordinator, senior researcher, and researcher in ten research projects, funded by the European Commission, the NSF, and the Research Promotion Foundation. He is currently the coordinator of the ModelMath project (funded by Cyprus Research Promotion Foundation), and senior researcher in one FP7 (Science in Society) and one NSF (Technology and Mathematics Education) funded projects.